The Chinese House Church is one of the most misunderstood and controversial subjects in Christian world missions today. Despite there being a plethora of books on the subject, much confusion abounds. The Chinese government's deliberate spreading of misinformation on the underground House Church and ignorance in the West has contributed to this problem. Based on extensive interviews and firsthand accounts, this book is a unique attempt to end the confusion. Rather than focusing on the well-documented past, the focus is on what God is doing in China and through Chinese Christians today. The House Church's unique characteristics-both good and bad-will be addressed, as well as how those characteristics have been instrumental in the church's astonishing growth over the past few decades. 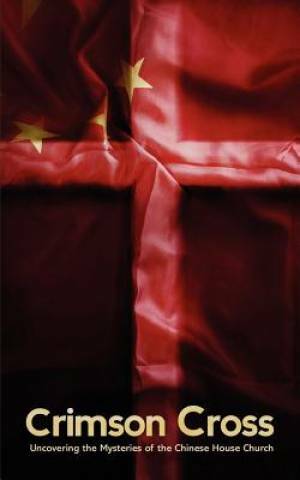 The Crimson Cross: Uncovering the Mysteries of the Chinese House Church by Brother Zhu; Eugene Bach was published by Fifth Estate in March 2012 and is our 53168th best seller. The ISBN for The Crimson Cross: Uncovering the Mysteries of the Chinese House Church is 9781936533237. Be the first to review The Crimson Cross: Uncovering the Mysteries of the Chinese House Church! Got a question? No problem! Just click here to ask us about The Crimson Cross: Uncovering the Mysteries of the Chinese House Church.